Are You a Running Mom? Running mom, does any of this sound like you? ...the best way you can think of giving your kids a timeout is to go for a run, even if it means pushing them in the jogging stroller. ...you need a vacation, so you plan a race. ...you plan other life events around your running schedule. ...you set your alarm for as early as 4:00 am to go for a run even if you went to bed at 2:00 am, because sleep is expendable, running is not. ...if you haven't run yet today, you've been obsessing about it all day, and if you have run, you've been obsessing all day about how your run went and how you can have a better run next time. You might even go out for a second run this evening because you need a do-over. ...when you get grumpy, your husband or co-workers say, "You need a run, don't you?" ...your kids know mommy is a runner, they automatically cheer for all the runners, and if they can walk yet, they've probably already done a couple races of their own. What makes YOU a runningMom? Share your stories here. Some mom runners are really fast and we love them for it! Others of us enjoy being slow runners, it gives us more time to ourselves. But we do get a little competetive sometimes too. The one thing we have in common is that after chasing our kids, staying up all night treating flu's, cooking for our familes, taking care of our husbands, children, jobs, getting an education, whatever it is we're busy with, we still make time and find the energy (even if we have to drink a couple extra cups of coffee), to get out there and run. Whether your goal is to run your first 5k or your first 50 mile ultra marathon, lose weight or become faster so you can qualify to run the Boston marathon, explore all the trails outside your back door or run all 50 states and 7 continents, our goal at is to help make your running experience the best it can be. Are you a new mom runner? Then our goal is to help make this transformation as smooth, pleasurable and therapeutic as possible. Are you looking to improve your fitness? Then these tips on running for fitness might be of some help to you. Or maybe you want to get faster? Then you may want to check out speed training, mama style, no knowledge of marathon versus 5k pace necessary for these speed training runs. Maybe you want to connect with moms like you. Then check out the ongoing discussions in our running forums or join the running community where you can create your very own profile, link to your blog, find running groups and join our weekly chats. Every month, we feature an inspiring running mom. This month's inspiring mom is running woman, Becky.Check out our interview with Becky about what makes her inspiring. Would you like to nominate yourself or another inspiring mom? Just click here. And don't forget to subscribe to our ezine so you don't miss the chance to meet other inspiring moms or receive updates about more great running tips. Mother's Day gifts for Mom are available online. Here's a complete guide to all the marathon running gear you need. Now you can focus your attention on training for the big event. Running music and other alternatives to inspire your run. Not only a competitive sport, races can also be a fun way for your family to spend time together. Half marathon running can be a fun and achievable goal to work towards for the serious runner. This 12 Week Free Home Workout Plan is for beginners or those who are looking to get back in shape. Tips for moms and interactive forums on how to be an amazing mom. There are many at home workouts that are great for cross training or when you are unable to run during an injury recovery. Tips on types of baby jogging strollers and how to find the right one for you and your baby. Review by running mom of baby trend expedition jogging stroller. A lot of runners find pounding the pavement day after day boring and look for new exciting ways to spice up there running. Barefoot running and Trail running are two fun ways to mix it up and get a good workout. Review by running mom of BOB Revolution stroller. Review of BOB Sport Utility stroller by running mom of two. Review by ultra running mom of chariot cougar stroller. Tips on choosing a jogging stroller that's right for you and your baby. Comparison of different jogging strollers. Interview with Crystal who ran her first marathon in her first trimester of pregnancy about exercise during pregnancy. As a mom and a runner you can imagine that family fitness is an important part of my life and family. I enjoy getting my family out of the house for some family fun fitness activities that we all love and enjoy. Here is a 12 week half marathon training schedule for a beginning-intermediate runner. Check out these home workout equipment reviews or share your own reviews. Here are some simple steps to help you learn how to buy running shoes so you get the right pair for you. Review by running mom of instep jogging stroller. 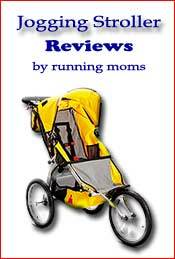 Review by running mom of Jeep jogging stroller. Long distance running is a relative term. Review of Gabrialla maternity support belt by pregnant runner, Bethany. Learn how to combat morning sickness and how running can actually help. Running Mom's favorite running equipment selections. This page is all about beautiful places to run. You can post your running pictures below and show off the awesome places you get to run. Five reasons why you might be struggling with running to lose weight. We all love to run and taking our passion on the road for running vacations is just the next step. Here is a great directory of running blogs, want to add yours great just fill out the form. Find a running training program to help you whether you're just getting started running or you're training for a marathon. When did you know that you were in love with running? Running woman share stories about how they got into running. Explanation of what is cross training, how it can help you and suggestions for some good cross training workouts for runners. Want to get that runner something special, here are some cool runner gifts for every runner in every price range. 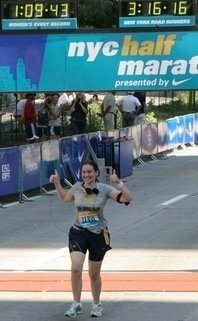 Running articles and resources for running women. Check out the helpful articles already contributed by other running moms or contribute your own article. Common questions asked by running moms and answers by other woman running. 10 Running Tips for a Successful Runner. The running forums are a place for running moms to discuss topics they feel are important. Join in on the discussions or start your own. 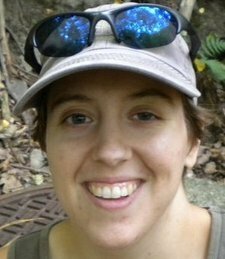 Contact Running-Mom with your questions or comments here. We love to hear from you! This is a place to nominate yourself or other fit moms who inspire you. Tips on how to improve running technique. Healthy meals and snacks for the runners diet, before during and after. Fitness motivation for those days you don't feel like running or those tought times when you are starting running all over again after taking time off. Running moms' favorite womens running clothes & accessories. Share your running shoe reviews or read helpful reviews from other runners. Rate treadmills and help other running moms find the perfect one! Running moms review best workout DVDs to supplement your running. Everything you need to know to find the perfect running shoes. 10 tips to help you lose weight by running. Beginning weight training for runners. Here are some fun and very effective rebounder exercises to try at home. Here is a simple home workout plan you can use to compliment your running routine. An 8 week guide for how to start running. Interactive forum for running moms to discuss jogging stroller tips. Do nursing sports bras exist that are as good at multi tasking as us running moms. Running moms' favorite nursing sports bras. Whether you are a new runner, or just new to being a running mom, here are some running tips. Here are 10 speed training workouts to help you increase your running speed. Interval training to increase running speed and to promote fitness in any cardio workout. Tips for the running mom on breastfeeding in public. Tips on running and other exercises that can help cure running back pain. Running mom favorite selections for womens running gear from 5k racing w/ a jogging stroller to ultra marathon running. How to buy cheap running shoes without sacrificing quality.